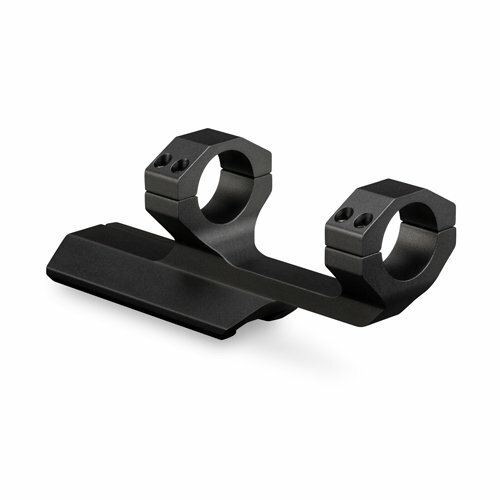 The scope mount plays an important role in ensuring the shooting accuracy for your rifle. A firm connection created by a good scope mount brings us a much more confident feeling while using the gun. 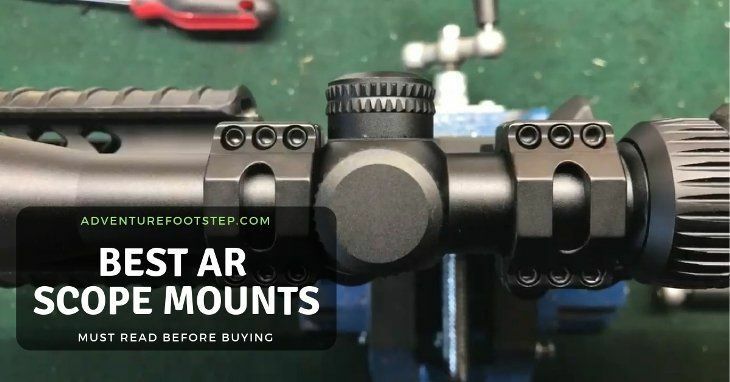 However, choosing a good AR scope mount can get confusing because of the large number of brands and models available on the market. Thus, today I will give you a brief guide on how to choose the best AR scope mount for yourself. First of all, before buying a scope mount, you need to know what to be aware of the most in this equipment. There are two types of scope mounting systems which are the fixed mount and the detachable mount. As the name suggests, a fixed mount is firmly attached to the gun in order that it cannot be detached easily and frequently. Typically, this type of scope mount is lightweight, solid and thick in order to keep the connecting point stable. Meanwhile, a detachable mount includes the bases which are easy to disassemble if needed. The scope rings, therefore, are suitable for those who use one scope mount for all the rifles they have. A scope mount can have either only one piece or two pieces put together. A single-piece scope mount brings the gun appropriate measurements to assist the shooting process. Many people who add a scope to their rifle prefer this type of scope mount as it gives them the simplicity and solidity in targeting. Nevertheless, a single-piece scope mount is likely to be massive because of its material. This drawback can make the weapon heavier, thereby affecting the portability of it in a negative way. Meanwhile, if you look for a light scope mount, a two-piece one is right for you. Its lightweight nature can assist you to carry the weapon more easily, in comparison to the single-piece scope mount. However, you need to be aware of the measurement of the scope mount and your rifle, especially in case that you have several ones. Make sure that your two-piece scope mount fits all of them. Another thing to consider when choosing a scope mount is the scope base. You need to check if the scope mounts you purchase to fit the rifle. A weaver is different from a Picatinny, thereby determining the scope mount you choose. However, my experience tells me that the dovetail rail is a great choice because it can bring the scope a firm and resistance to the pressure. Typically, the scope mounts are made from durable material such as steel and aluminum to ensure the lifespan of them. Sometimes, you can find a scope mount created from a mixture of steel and zinc. So far, the material that can bring the best endurance to the scope mount is a mixture of steel and aluminum. Don’t forget that you will need to carry your weapon to many places. So, it’s important for you to go for something portable and lightweight. Often, the ideal weight for a scope mount should be around 7 oz. and the ideal length for that should be about 5 inches. Unless you have some special needs to do with your weapon, you shouldn’t go for anything more than those. It is suggested that you should go for a scope mount that is easy for you to install. Particularly, if you intend to use a scope mount for more than one gun, this is even more important not to waste time. You should take the distance between your eye and the scope into consideration whenever looking for an AR scope mount. An ideal one should be neither too close nor too far to your eye. By the way, best scopes for ar-15 is important accessories of gun owner. Find the good one for you by click here! It is important for you to know the suggested torque figure of your scope mount. You can find the instruction right on the packaging of the scope mount you purchase. Or, you can visit the website of the manufacturer to find it. You should use some specific tools to apply the fastener more easily. You also may use the hex keys instead. But, please be careful with the scope body tube because that of some scopes is quite thin. Thus, do not tighten the fastener too much to avoid unnecessary crushes. But do not let it too loose either! For those who know a bit about nuts and screws, you can do it easily. #1: Prepare a good-quality Allen key which has a suitable size with what you purchase. #2: Use your screwdriver to handle the screws. Feel the balance of the scope square as well as the eye relief. I suggest that you should use a bit of glue on the screws. #3: Wait until the glue dries out for at least half an hour or more. From my own experiences, here I want to suggest three of the best AR scope mounts that you can find on the market. This is the product that Vortex has spent a large amount of time as well as effort on. This is also a long-awaited model to be released. The model coming from this manufacturer can be considered one of the AR scope mounts that bring you the best precision. It can assist the gun users to have accurate shots even over a long distance. The material used for this AR scope mount is aluminum which is one of the most preferred metals by many manufacturers. This ensures a firm construction for the scope mount. As I mentioned above, it is important to see whether a scope mount is durable and can last for a long time or not. The answer is yes when it comes to this model. Also, this AR scope mount offers the users with several options to adjust the mounting positions. Well, the versatility helps you not only to target more accurately but also to have better eye relief. Particularly, this is important for those who are looking for a scope mount to use for not only one rifle. Another strong point of the model is that is quite lightweight. It brings the portability to those who often have to carry their rifles. The size is a little big in comparison to other models. 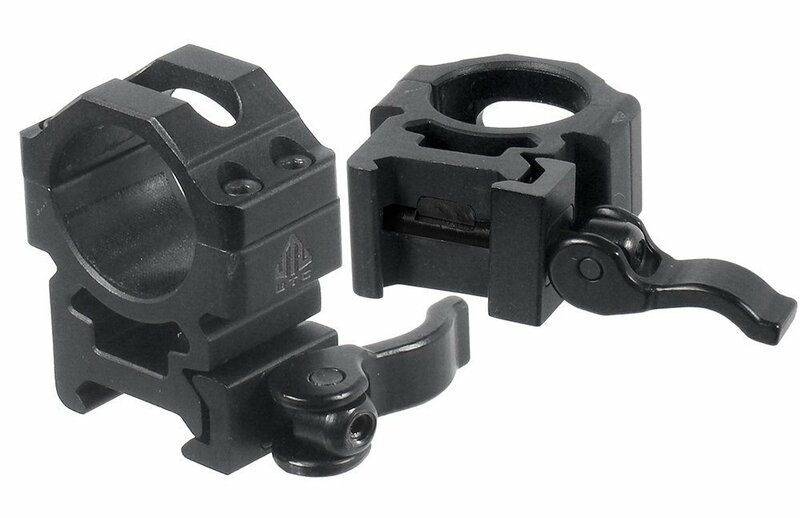 The AR scope mount from UTG is a two-piece one which has two rings for you to mount the scope to the gun. This is a great choice for those who need the frequent adjustment while using the gun although there are some particular skills to be required. Generally speaking, this model offers an acceptable quality and performance. It is not really outstanding but it can give you what you need from a typical AR scope mount. Also, it is available at a quite affordable price so it is still a worth-trying model. 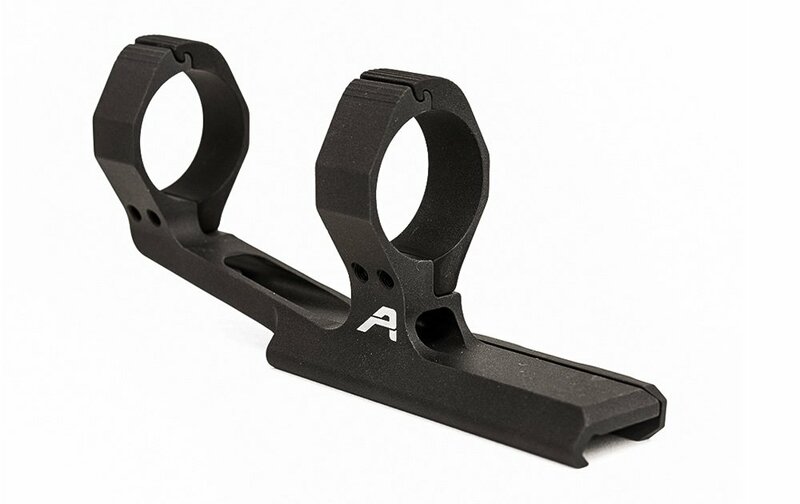 As its name suggests, this AR scope mount is well-known for its lightweight. Many of my friends prefer this model and use for their rifle because of this advantage. This can be attributed to the fact that the manufacturer uses a single clamp bar for it. Also, this model can be a worth-considering AR scope mount thanks to its smart design. The screws are set up to ensure the best performance of the scope. I have used this scope mount for my work all over the past years and its performance is really outstanding. When you tighten the rings too much, it is easy to be moved. 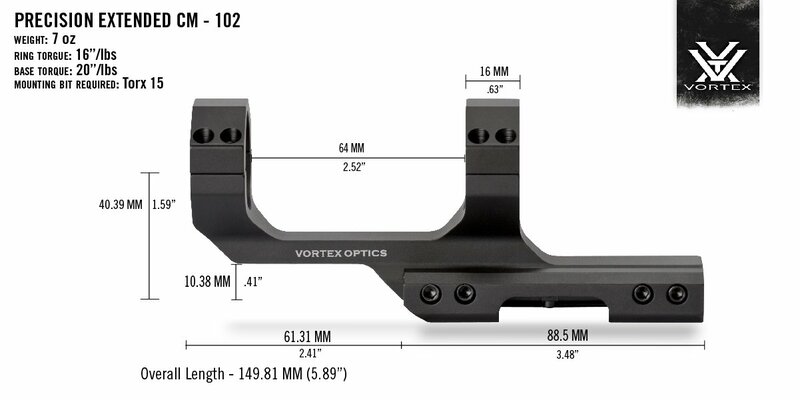 If having to choose the best AR scope mount of the three models above, I will go for Vortex Optics Sport Cantilever 30mm Mount. It’s reasonably priced and can bring impressive quality and performance. What about your choice? Are you with me? Let me know on the comment!